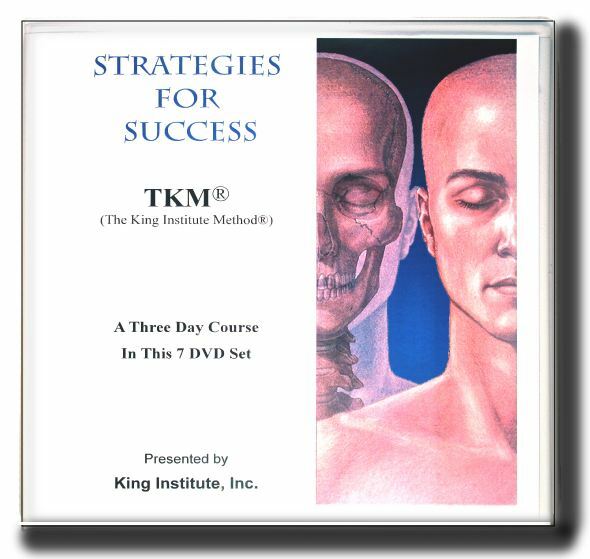 Whether you desire to improve your TKM® knowledge, skills, interested in starting a TKM® practice, or to improve your existing practice or TKM® ministry, this Strategies for Success DVD set is a valuable asset. This three day course was provided by Glenn Thomas King, PhD, CDN, CN, director and founder of King Institute, Inc. Aside from the teaching of Glenn King, there are several certified TKM® Instructors featured in this very relaxed and informal setting to share in-depth knowledge and experience. This course covers a wide range of topics from practical TKM® applications for chronic to critical issues to practice ethics, professional and legal aspects of starting and growing a practice, and addressing issues in an ongoing practice. In fact, this information would be very resourceful for anyone concerned with legal rights, proper protocol, taxes, books, forms, advertising, fees, referral base, laws related, medical issues, client base, Christian or religious issues, non-profit, client interviewing, trouble shooting and many other important topics and questions are addressed through lecture, individual and panel discussions. Published by the King Institute, Inc. © 2010 Glenn T. King, PhD, CDN, CN, All Rights Reserved.